Fressingfield, Pulham Market, Pulham St Mary, Bungay, Wortwell, Mendham, Thorpe Abbotts, Diss, Starston, Alburgh, Flixton, Denton, St James South Elmham, Weybread, Hoxne, Ditchingham, Topcroft, Long Stratton, Homersfield, Metfield, Laxfield, and many more. Please feel free to call us to see if we can deliver to your required area today. Orders placed before 2pm can be delivered the same day at no extra cost. T: 01379 308182 and speak with one of our experienced florists to arrange your delivery in person, or alternatively you can order online any time of the day. If the recipient is out when we attempt delivery, the items will either be left in a safe place, left with a neighbour or returned to our shop, a calling card will be left to advise. We can also organise for your flower orders to be sent both nationally and internationally, please contact us today to find out more! 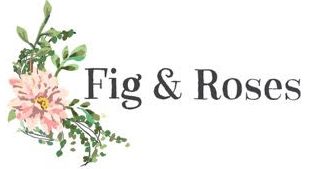 Why Choose Fig & Roses? A friendly professional florist based in Harleston. We deliver fantastic floristry and cater for all occassions and requirements, on every delivery.